Be the first to share your favorite memory, photo or story of Jean June. This memorial page is dedicated for family, friends and future generations to celebrate the life of their loved one. 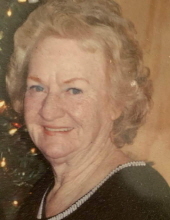 Jean June Marshall Wooten, 71, died at SOVAH Health on Thursday, April 11, 2019. Mrs. Wooten was born in Baltimore Maryland on January 14, 1948 to the late Evelyn Schaeffer Marshall. Mrs. Wooten from Ringgold, VA. was a wonderful wife, mother, grand-mother, and was one of a kind and always made others smile. Jean is survived by her husband Douglas A. Wooten of Ringgold, VA., her daughters Regina Dobbins of Radford, VA., Shelia Cox (Mark) of Chatham, VA., Teneisha Bowes (Chase) of Halifax, VA., and son Ricky Cuppelman (Jessica) of Ringgold, VA. in addition , she is survived her grandchildren Tiffany DeVaughn, Ricky Cuppelman Jr., Tyler Cuppelman, Jean Martin, Makayla Wooten, Riley Shelton, Taylor Shelton, nine great-grandchildren, 1 great-great grandchild, by one brother, one sister and 54 nieces and nephews. In addition to her mother Mrs. Wooten was proceeded in death by six siblings. The Family will have a celebration of life with family and friends on Tuesday, April 16, 2019, 7:00 p.m. at the Fraternal Order of Eagles Piedmont Aerie 4420 located at 5731 South Boston Hwy Sutherlin, VA.
To send flowers or a remembrance gift to the family of Jean June Marshall Wooten, please visit our Tribute Store. "Email Address" would like to share the life celebration of Jean June Marshall Wooten. Click on the "link" to go to share a favorite memory or leave a condolence message for the family.